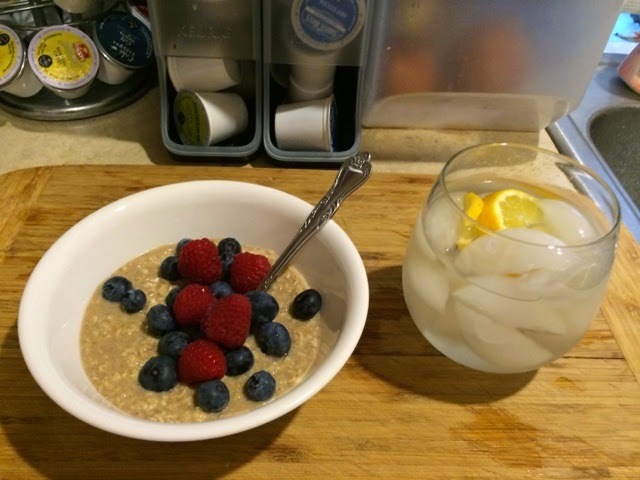 Actually Erica: Quick & Easy (And Yummy) Instant Oatmeal! Quick & Easy (And Yummy) Instant Oatmeal! Hey guys! Today I wanted to share with you my favorite way to make instant oatmeal. I don't always have oatmeal for breakfast, but when I do I usually prefer steel cut oats that you cook on the stove. But let's face it, you just don't always feel like doing all of that. Instant oats that you pop in the microwave are so quick and simple to make, and they really can turn out delicious. Such a hearty and filling breakfast to enjoy on a snowy Winter day here in Kentucky! Anyways, here's how I do i. When it comes to instant oats, I ONLY buy the original/plain kind. Even though the flavored ones can be yummy, they have a lot more stuff in them I don't want (artificial flavors, etc.). I prefer to add whatever flavors I want. Instant oatmeal can be made with milk or water, and I do use both. I prefer milk, but if I am out of it I don't mind a bit to use water. My favorite milk to use is the Blue Diamond Almond Breeze in Almond Coconut. (The same milk I use in my smoothies). I make the oatmeal according to the packet directions (in the microwave with 2/3 cup of milk). The directions say to cook 1-2 minutes, and I cook mine for 1 minute. My microwave is really hot, and while I like my oatmeal cooked and kind of thick, I don't want it super thick and goopy. But, cook yours how you like. 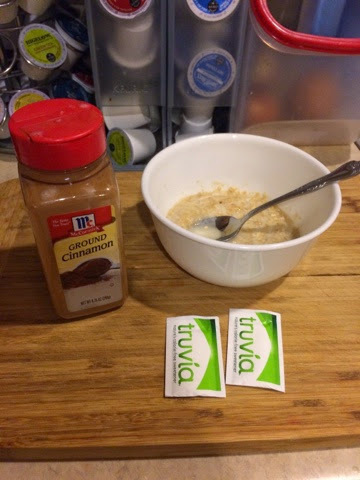 I like mine sweet, so I always toss in a couple packets of Truvia (use whatever sweetener you like). I usually put a sprinkle of cinnamon in mine as well. Not always, just depends on what I feel like. Use whatever flavorings you prefer. 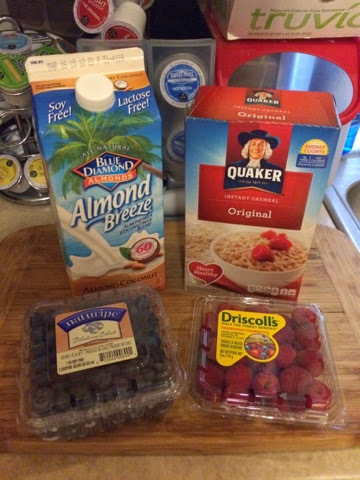 I ALWAYS use berries in my oatmeal, it makes it SOOOOOO good. My favorite combo is blueberries and raspberries, again, toss in what you like. Since oatmeal is so thick and filling, I prefer a glass of ice water to drink with mine. 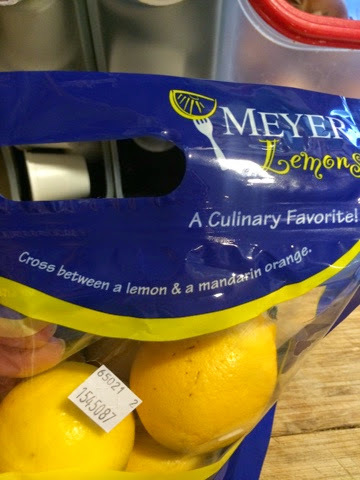 I have always loved lemon sliced in my water, and here lately I've been really enjoying Meyer lemons. 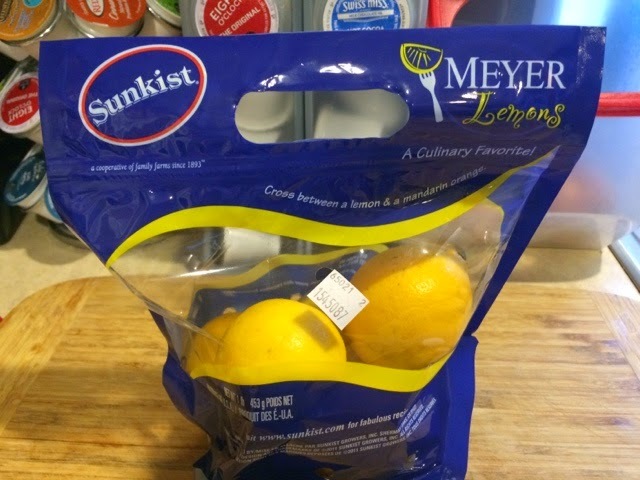 These lemons are softer/squishier than typical lemons, but they add such good flavor to your water! I find mine at Walmart. And voila! That's it! A perfectly delicious breakfast made in under 2 or 3 minutes. Let me know how you like your oatmeal and if you try yours like this. Thanks for stopping by and have a great day! Bandeau/Strapless Bra For Large Chests! Orange Blush: Nars Taj Mahal! February 2015: Small Drugstore Haul! Our Super-Easy Super Bowl Sunday Snacks! Organization: Makeup, Beauty, Clothing and More!